You may have already been going over jumps – whether intentionally or not (!) - on your skis or snowboard, but do you fancy getting some coaching on kickers, rails and perfecting your freestyle skills? Many of our British skiers and snowboarders who make up the GB Park and Pipe team and compete in Ski or Snowboard Slopestyle, Big Air and Halfpipelearnt their trade at the indoor snow centres or dry slopes, and this is definitely the best way to get a taste for freestyle and progress towards competitions. 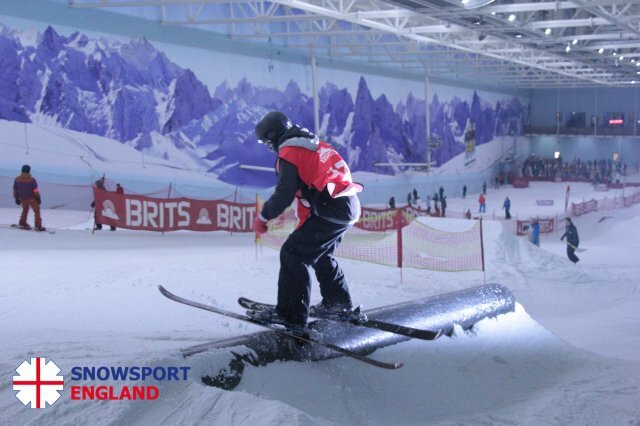 Many UK slopes run regular freestyle nights or freestyle sessions during the summer holidays which are open to any skiers or snowboarders who can link turns. Then once you can hit kickers and rails there are plenty of freestyle events to get your teeth stuck into including the English Indoor Slopestyle Championships and British Indoor Slopestyle Championships. Once you have a bit of experience, you could find yourself out on the slopes of Laax in Switzerland competing in The British Snowboard and Freestyle Ski Championships, also known as The Brits. The week-long event features Big Air, Slopestyle and Halfpipe competitions and attracts competitors of all ages, including riders in the Under 12 category. Another exciting development in recent years for freestyle is the launch in 2016 of a revolutionary new online Park and Pipe video league run by the GB Park and Pipe team called Championship Ski and Snowboard or CSS. CSS features ski and snowboard teams from slopes across the UK going head to head in a league, with teams submitting video tricks for each round. Teams are matched against each other in each round, and are judged on their best kicker, rail and execution tricks. In 2017, 61 of the CSS competitors were 16 or under. If you aspire to compete for Great Britain one day, then check out the Park and Pipe Pathway, which shows you how you can take the different steps towards becoming a GB Park and Pipe athlete, including information on regional talent sessions and the Park and Pipe Academy. To find your nearest freestyle sessions, visit our easy Activity Finder or for your nearest slope go to our Interactive Slope Map.